A short review of the discovery of transuranium elements is given and methods of preparing and identifying them are described. The results of a thorough experimental check of the work of a group of scientists from the USA, Britain, and Sweden on the preparation of element 102 are given. A radical new method used for preparing isotopes of element 102 is described in detail. Data on the properties of two isotopes of this element are given. 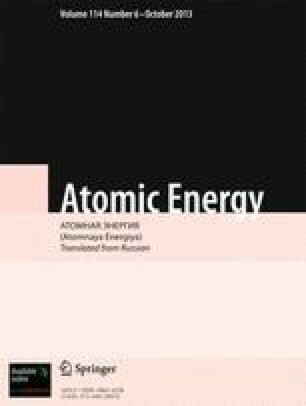 The half-life of an isotope of element 102 with a mass number of 254 is 3 sec and the α-particle energy is 8. 3 Mev. In 30% of the cases of decomposition, this isotope undergoes spontaneous fission. According to preliminary data, the isotope of element 102 with a mass number of 253 has an α-particle energy of 8. 8 Mev. The agreement of the results of this work with the data obtained by G. N. Flerov et al. is noted. In conclusion, possible ways of preparing and identifying elements with an atomic number Z above 102 are examined briefly. Report read at the Eighth Mendeleev Congress in Moscow (March, 1959).